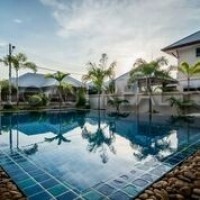 Fully furnished 3 bedroom house with private pool located on the outskirts of Pattaya in group of quality ex-pat homes. The house is furnished to a high standard which is included in the price. Off road parking , landscaped garden and private pool.